Clean Living - Cleaning Services based in Bracklesham Bay, West Sussex. Invoice history based on 381 reviews. 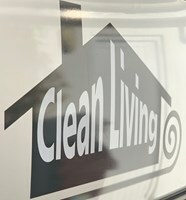 Clean Living Property Care is a family run business, with over 25 years’ experience. and specialising in carpet & upholstery cleaning, steam cleaning curtains, window cleaning and gutter cleaning, using the latest technology from the pole system to a fully operational drone to check your gutters. All water that we use is purified and eco friendly with no chemicals. We cover all your exterior cleaning needs please call for a Free Quotation. This starts from the moment we meet. I would prefer to visit your property to meet you and survey your cleaning needs, this allows an accurate price with no nasty surprises on both parties. Here we discuss your cleaning needs and explain what we do for the service you require. Through years of experience in carpet and upholstery cleaning we know of many different fibres and materials I cannot offer a guarantee to get the stain out or remove odours as all stains are different eg. pet and smoke odour can be difficult if the carpets or upholstery haven’t been cleaned for sometime However, we will do our upmost to remove the stain and odour using the state of the art equipment that we have invested in we have the very best chance to withdraw these stains and odours. We offer a very competitive pricing structure, aimed to give you exceptional value for money But maintaining the level of quality and professionalism. We respect your home from start to finish, ensuring that we achieve a high standard of customer satisfaction. Please feel free to call us to discuss your cleaning needs. Aldwick, Arundel, Bognor Regis, Bosham, Bracklesham Bay, Chichester, East Wittering, Emsworth, Havant, Hayling Island, Lavant, Midhurst, Pagham, Selsey, Sidlesham, West Wittering and Many more.